Phew! Much has happened since we took our first steps out of St. John Pied de Port just five days ago. The initial stretch of road passed at a crawling pace of 3 km/hr – quite slow, but necessary as the route was loaded with new plants to identify and familiar feast-able flowers to photograph. You’d be surprised what you can eat along the asphalt! As our boots climbed towards the Pyrenees, the clouds consumed us, bringing rain and the unavoidable obstacle of keeping our precious new equipment dry. Sunset, however, unveiled the soft blue hills and with it, hope for a sunny tomorrow (which it was!). Each day presents new challenges – the long hours, variable weather, and flood of new information demand not only a certain commitment to our “end” goal, but also willingness to enjoy the trials and tribulations. With just 73 km behind us we’ve identified over 25 fantastic edibles – and had the opportunity to eat them, too! 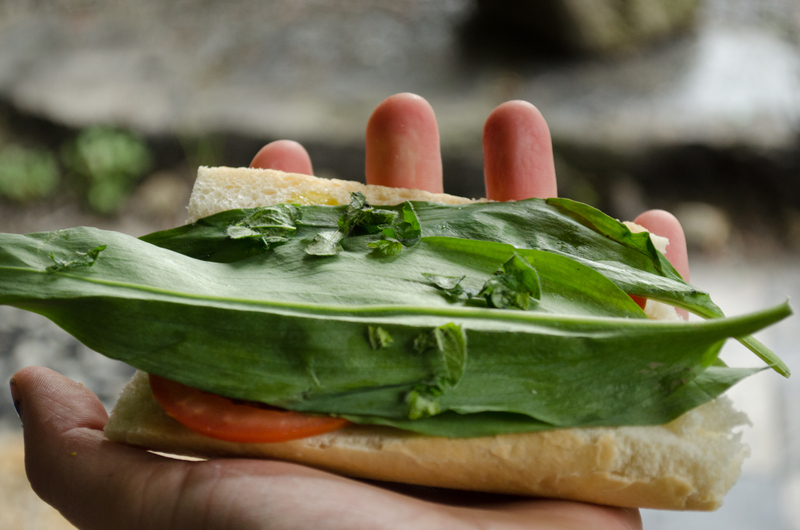 Oh, how wonderfully a few leaves of wild leeks, garlic mustard, and oregano can spruce up the (nearly) unavoidable lunch of bread. Yes, the first stretch has indeed been a challenge, requiring a fairly slow pace as we’ve documented and identified a plethora of new plants (many of which are edible)! We are now just a few days away from the Meseta and are surrounded with previously identified species – which gives us more time to experiment with recipes and discern the difference between the many, many species of mustard. 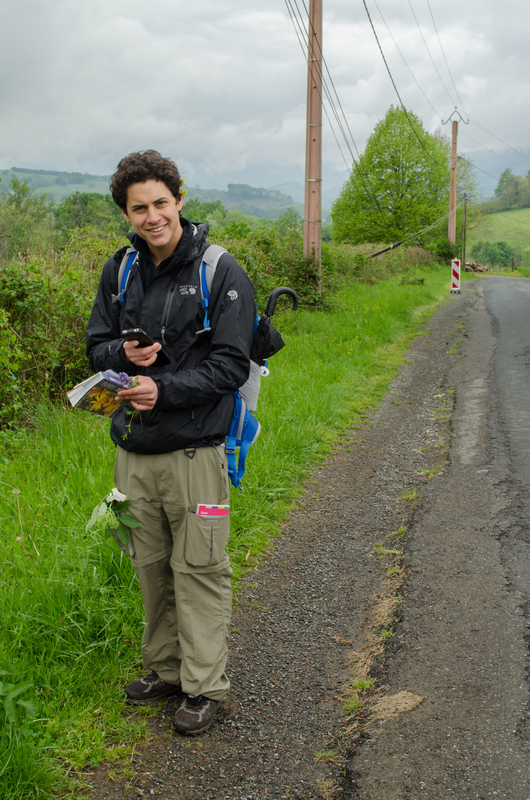 As for dialogue, we’d like to hear anything you’d like to share – suggestions for recipes, memories of plants you encountered while on the Camino, or questions about how the project is coming along. It is great to hear from you! Great to read your updates! And the photos are fab! !